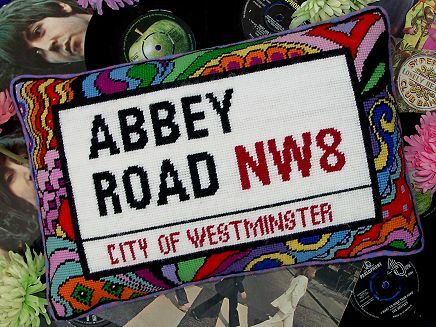 Penny Lane and Abbey Road go overboard with vibrant 60's colour; original street signs that celebrate the music of The Beatles are combined with a fabulous psychedelic design inspired by fashion prints of the period. 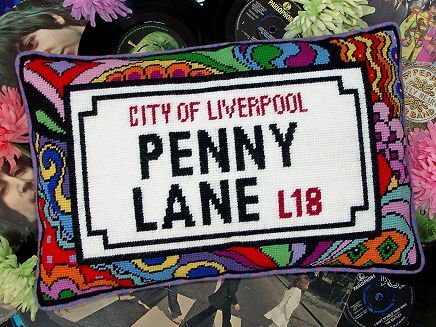 The kit uses Anchor tapestry wool on 10hpi canvas and measures 16¾" x 11" (42 x 28cm) suitable for a pillow or cushion. Contents: Printed canvas, wool, chart, needle and full instructions.